How faxing has kept up with technological progress. In the glory days of the fax machine, it was a completely cutting-edge communication tool. The ability to send hand-written pages through telephone lines seemed years ahead of its time. But, while faxing is still popular in offices, society has outgrown fixed telephone lines. These days we communicate whilst on the move, through cellular phones, wi-fi, and mobile devices. But, while fax machines may not be as popular as they once were, faxing itself has kept up with the times. Thanks to FaxFX, which provides online faxing solutions, fax communication is now more convenient than ever. No longer is the fax machine rooted to one spot, constantly drawing power as it waits for incoming messages. With fax to email, faxing can be done exclusively from your computer or mobile device. As long as you have an internet connection, you can check your faxes from anywhere in the world. 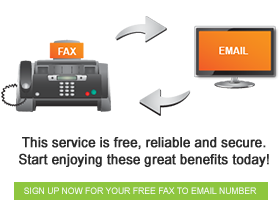 With fax to email, your incoming faxes appear in your inbox, meaning that faxing is completely mobile. Also, with a registered fax account, and FaxOut credits, you can send outgoing faxes from your email account. Gone are the days of office communication being fixed in place. With FaxFX, faxing is portable, and thus more convenient than it has even been.